However once registration is closed for a server (during and after artefact release), the medals are easier to claim by existing players increasing ranks by conquers and smaller population gain. Often referred to as the ‘simmer medal’, it isn’t held in very high regard. The kills can be accumulated through raids, attacks, conquer attempts, oasis captures and even attacking yourself. Your hero does not need to be present for the kills to count. If you look below, there is a possible hero’s medal to be introduced in a later version of Travian that will encourage players to use the accompanying unit more often and earn medals purely for doing so. 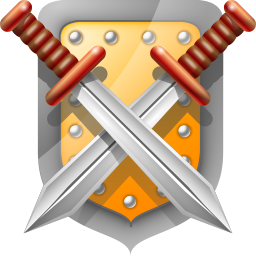 Only positions 1st – 10th are available to alliances, it is not possible for alliances to earn medals for being in the Top10 multiple times or achieving attack and defence in the same week. Travian introduced “Quest 13: Dove of Peace” to help players understand where to find codes and how to make them appear, so from now on any new medals and codes will be displayed under [#0]. 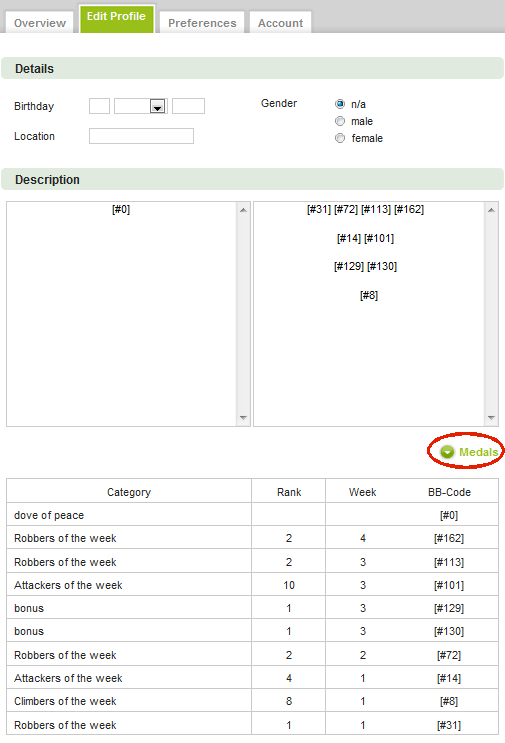 Each code is specific to you and your account; you cannot display a medal twice, and you cannot display another person’s medal. 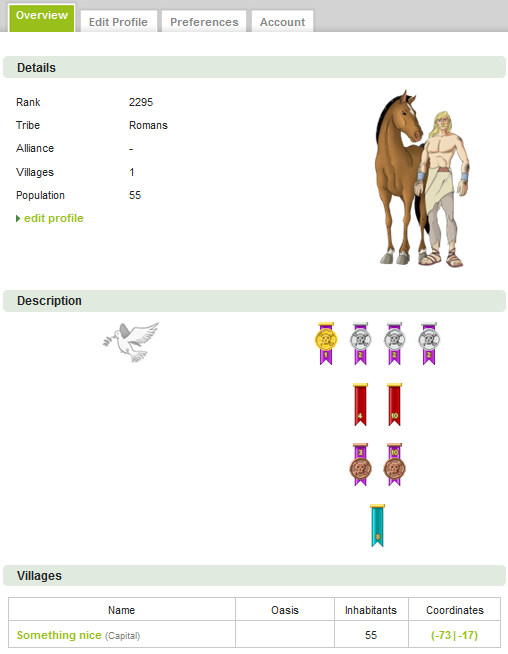 These medals are yet to be released in any available version of Travian, so we don’t know how they are achieved yet. This set is aimed traders, possibly awarded for overall trades on the marketplace or cumulative profit per trade. For example, if you trade 500 wheat and receive 1000 iron, you are awarded 500 points. 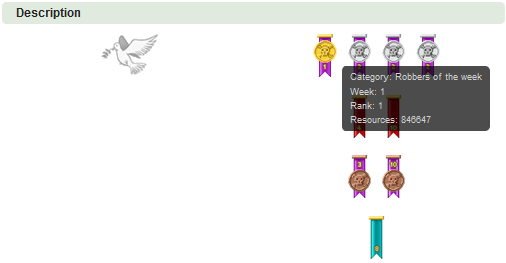 These medals are yet to be released in any available version of Travian, so we don’t know how they are achieved yet. This set is aimed at heroes, possibly awarded to the amount of hit points gained in a week through defence and attacking combined (similar to attacker/defender medals), or the amount of levels increased (similar to highest climber medals).